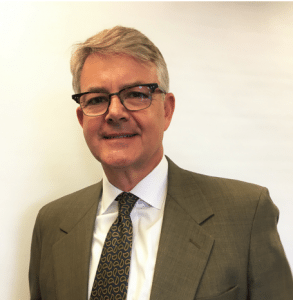 Robert E. Akeson is Chief Operating Officer of Mirae Asset Securities (USA) Inc., a subsidiary of Mirae Asset Financial Group, Korea’s leading financial group. Through its various subsidiaries, Mirae Asset Financial Group has invested, allocated and maintained significant quantities of assets. As of 31 December 2016, the group’s asset management businesses had approximately $340BN of total assets under management. Its various broker-dealer subsidiaries and affiliates had approximately $6BN in equity capital. Over the years, Mirae Asset Financial Group has also made a significant commitment to the alternative investment space, including real estate, SOC, PEF and hedge funds. In addition to Korea, the group has offices in 15 markets, including the US, UK, China, India, Australia, Singapore, Hong Kong and Brazil. Mirae Asset Securities (USA) Inc. provides prime brokerage, equity finance, correspondent clearing, agency execution, foreign research distribution and corporate access services to institutional investors. Mr. Akeson is well versed in the management, operations, enterprise technology, compliance, risk management, marketing, due diligence, balance sheet and liquidity management aspects of these businesses. His background includes leadership positions with Neuberger Berman, Morgan Stanley, Industrial and Commercial Bank of China Financial Services and ADP BISG. Mr. Akeson is a frequent speaker on topics related to the hedge fund industry, prime brokerage, market liquidity and Basel III. He is Chairman of the Business Management Interest Group of the New York Society of Security Analysts and a member of the Management Committee of the New York Alternative Investment Roundtable, the DTCC Systemic Risk Roundtable and the Economic Club of New York. Mr. Akeson has also taught Money, Banking and Financial Markets at Molloy College. Mr. Akeson holds an MBA from New York University and a BA from Washington College.